The New England Orthodontic Laboratory (NEOLab) is a state-of-the-art lab with a nationwide clientele of pediatric dentists and orthodontists. They’ve been in business for over 35 years having built a reputation on quality through personalized service, uncompromising standards, unbeatable turnaround times and competitive pricing. Offering a selection of over 150 types of appliances, 3D printing has helped the dental lab to meet and exceed industry standards and fabricate the highest quality products. Watch the video above to see how NEOLab showcases their digital workflow by integrating Stratasys 3D printing in their laboratory. 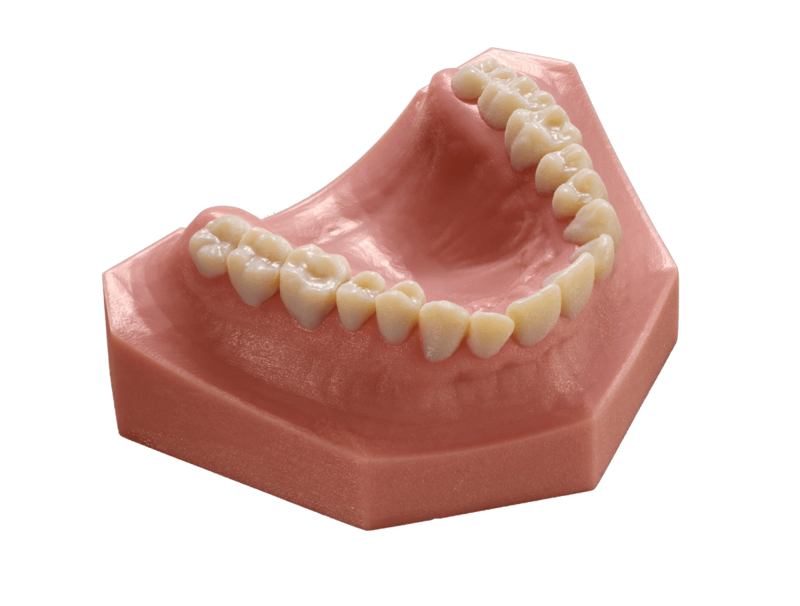 Using 3D printing and scanning technology, NEOLab produces appliances from the intraoral scans of their patients. From there, the scans are digitally prepared prior to printing, which involves processes such as splining (cutting out the excess data), basing (adding either a minimal, standard or full base), and bracket Removal (erasing brackets from teeth, including brackets that have overlapped onto the gingiva). Using the Objet Eden260V 3D printer from Stratasys, models are printed with an accuracy of 16 microns layer by layer using Verodent, an FDA approved material suitable for dental appliances. Christian Saurman, Vice President of NEOLab says, “the most efficient part of our laboratory is now the 3D printing”. Enhance the patient experience and your business with digital dentistry. No more wasted time, materials, or storage space. Even the smallest labs can now go straight from intraoral scan to in-house production with a seamless digital workflow. Cut days off delivery times and produce more accurate, comfortable, and effective dental and orthodontic appliances.